​Need help installing the software? ​We have a lot of people telling us they can’t get the software installed. 1. Check if your computer is 64-bit. The only requirement to install SAS studio is to have a 64-bit machine. Mac user – see this. Windows user – see this. If your computer is only 32-bit, no worries. You can run SAS Studio on Amazon for a very small fee. Nine out of 10 SAS Studio installation problems are due to the virtualization not being enabled. Step 2: Before Windows loads, press the key that enables access to the BIOS. 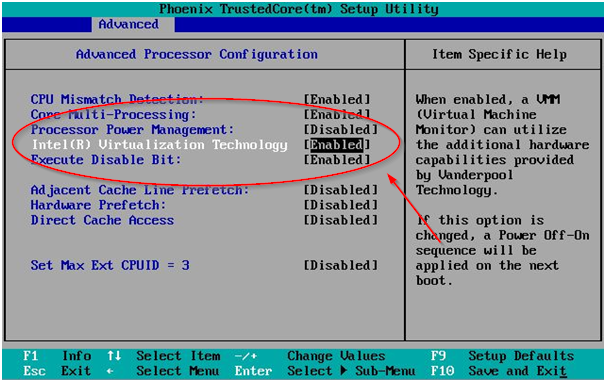 Step 3: Once you get into the BIOS, enable virtualization (see image below). ​​This should solve all of the problems. If you still can’t install SAS Studio, email us at info@sascrunch.com.